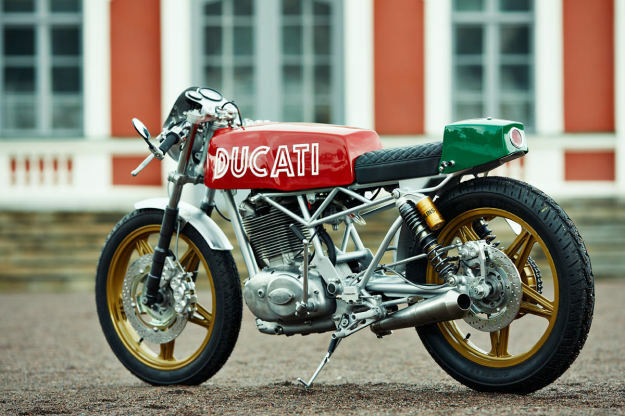 The custom world is dominated by studiously cool and monochrome bikes, so this bright and breezy little Ducati cafe racer is a welcome splash of color. It’s the work of the Estonian boutique manufacturer Renard—makers of the mighty Grand Tourer sport cruiser. Renard’s Andres Uibomae also operates a custom workshop from a barn in Southern Germany, and that’s where this lovely Vento 350 was born. Since there wasn’t much left of the original Vento, Andres and his partners at Renard Speed Shop decided to improvise—and upgrade. 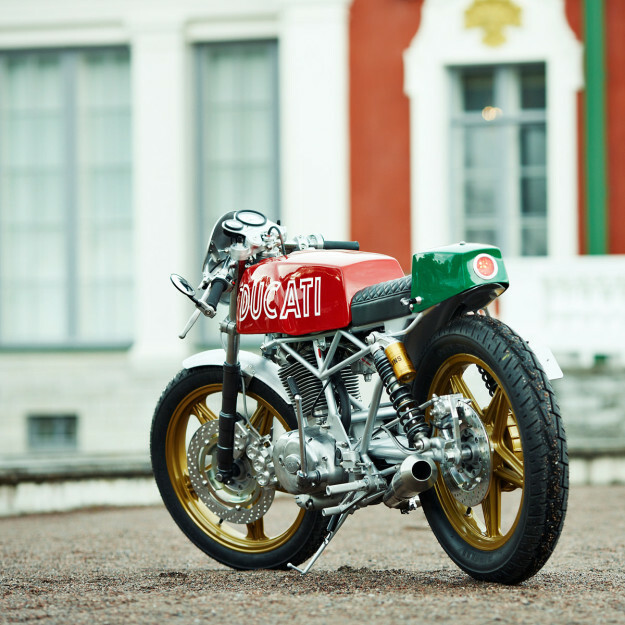 They’ve fitted a brake system from ISR, the Swedish company fast making a name for itself in the custom community. 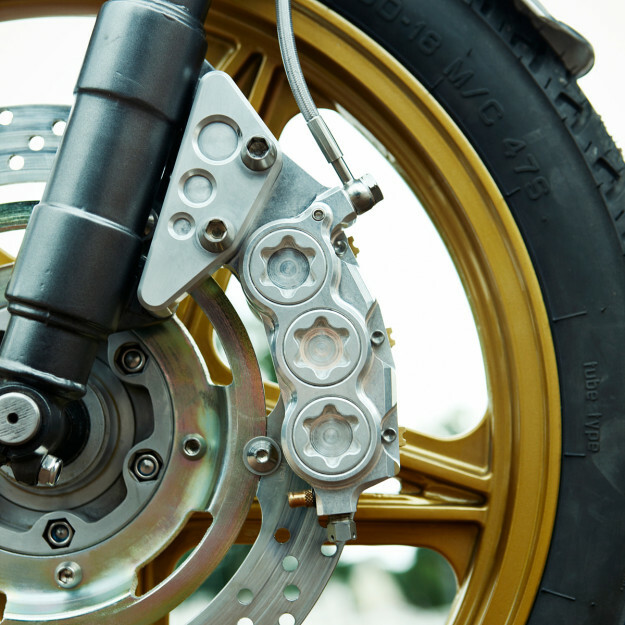 The front brake disc is from a BMW R 1200 GS, adapted to fit, and the master cylinder comes from AP Racing. 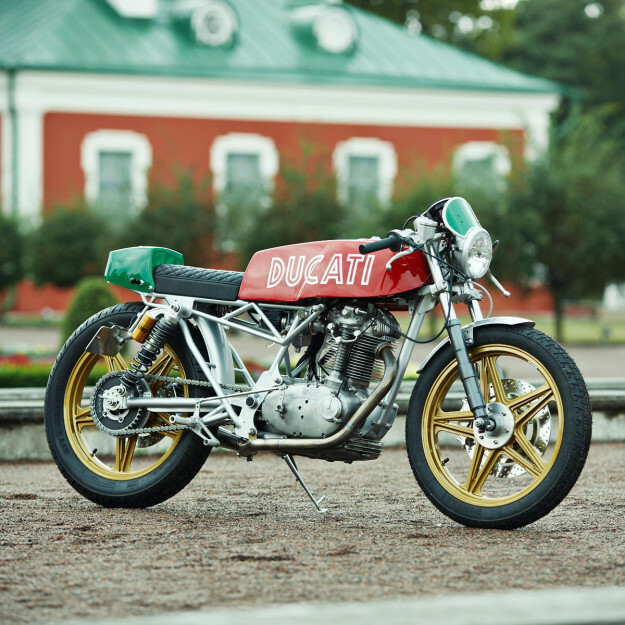 The forks are standard Telesco items—as owners of 1970s Ducati Scramblers will recognize—but overhauled. They’re now hooked up to triple trees from an old Suzuki motocross bike. “We’ve also modified the frame and the swingarm quite a bit,” says Andres. “The original frame lacked stiffness, so we’ve reinforced it. And the rear subframe is now a trellis-type design, similar to a more modern Ducati.” It’s supported by a pair of familiar Öhlins piggyback shocks. The custom exhaust system is extremely neat, hugging the right-hand side of the motor and then crossing under the frame to exit on the left. 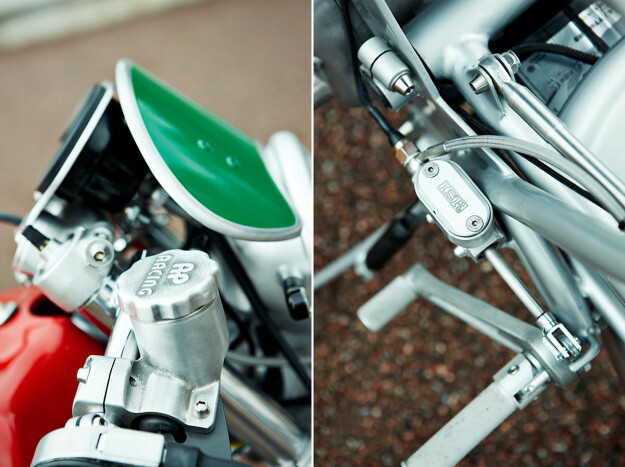 There’s a beautiful CNC-milled new instrument panel nestling between the fork uppers. The seat and tail unit are also custom, but the highlight is the long, squared-off tank. 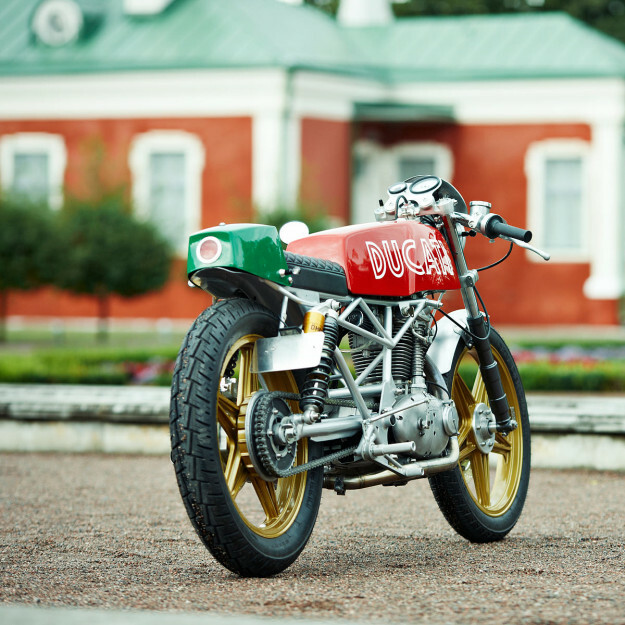 It’s actually stock, but with the vivid red paint and huge vintage Ducati logotype, impossible to ignore. The Vento is now in very good hands: the owner is musician Leslie Laasner, who parks the bike next to his Wrenchmonkees Laverda. Now there’s a man with immaculate taste. 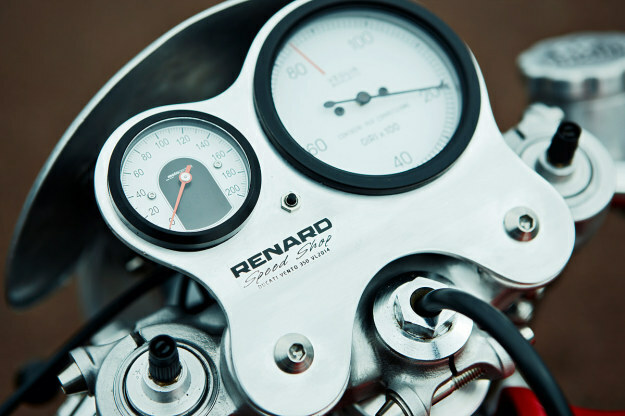 For more high-end Estonian goodness, visit the Renard Motorcycles website or Facebook page.